On the seventh day of Asian Games 2018, Indian athlete Hima Das qualified for the 400-meter women's race. 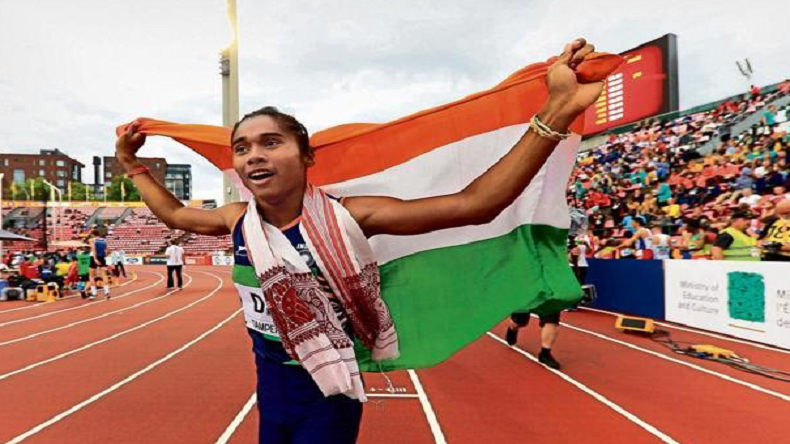 Hima Das broke her own record and completed the race in only 51 seconds at the 18th Asian Games. The final race for the gold medal will be held on Sunday. Indian Athlete Hima Das on Saturday surpassed her personal record and entered the women’s 400-meter race finals in the Asian Games 2018 in only 51 seconds. Although Hima Das stood second in the race but managed to qualify for the gold race on Sunday. The first position was secured by Bahrain’s Salwas Eid Naser, who finished the race in only 50.86 seconds. In the IAAF World Under-20 Athletics Championships held at Tampere in Finland, Hima Das became the first ever Indian woman to clinch gold. In the final match, Hima Das will be facing a tough competition as Salwa Eid Naser is the favourite for the medal. Athletics Federation of India also shared the previous national record of Manjeet Kaur, who took only 51.05 seconds in 2004.